For a list of current learning facilitiators, click here. An active Learning Facilitator list is maintained by the CWC, CSPA National Office and through this website. This list is amended annually at the spring meeting of the committee. A willingness to conduct courses at any CSPA affiliated drop zone. An awareness that the position of Learning Facilitator is one of high responsibility and that it will require the individual to contribute considerable time and effort to the training of Coaches and Instructors. Ability to modify programs in order to meet individual needs. PFF Learning Facilitator : must be Instructor PFF certified and Coach 2 Course Facilitator and either Jump Master Learning Facilitator or SSI LearningFacilitator. The CWC determines when a Learning Facilitator Seminar is required. Under such circumstances, the CWC will generate a list of candidates through contact with the Learning Facilitators and DZO’s. However, suitably qualified candidates, upon receiving a recommendation from a current Learning Facilitator, may apply in writing to the Chair of the CWC at any time. All names will be kept on a list, and invitations to the next Learning Facilitator Seminar will be sent to the selected candidates. Initially, candidates must attend the Learning Facilitator Seminar. It is highly recommended that prior to the seminar they should have assisted with or at least audited a Coach 1 course. The seminar takes three days, is under the direction of a MCC. Travel and hotel costs are paid by CSPA. It includes an introduction to the CSPA system, an analysis of the role of the course facilitator, and a simulated delivery of the Coach 1 Course. The candidates will be asked to demonstrate a high level of facilitation and teaching skills. * When assisting on a course, the Learning Facilitator in Training must deliver a minimum of 50 % of the core course material. To proceed to the Challenge level, the CCIT must receive a recommendation from the supervising Learning Facilitator. ** When challenging, the Learning Facilitator in Training must deliver a minimum of 75 % of the core material (to include all areas not taught in the assist phase) and be the main facilitator in the course. A letter of recommendation from the last course facilitator must include a summary of the performance. Assist : For all levels above Coach 1, the candidate will assist a current Learning Facilitator and deliver a minimum of 50 % of the core course material, or attend a seminar covering 100% of the content, or work directly with a Master Learning Conductor previewing the course content. After a positive evaluation and recommendation by the supervising facilitator, the candidate may challenge for upgrading. 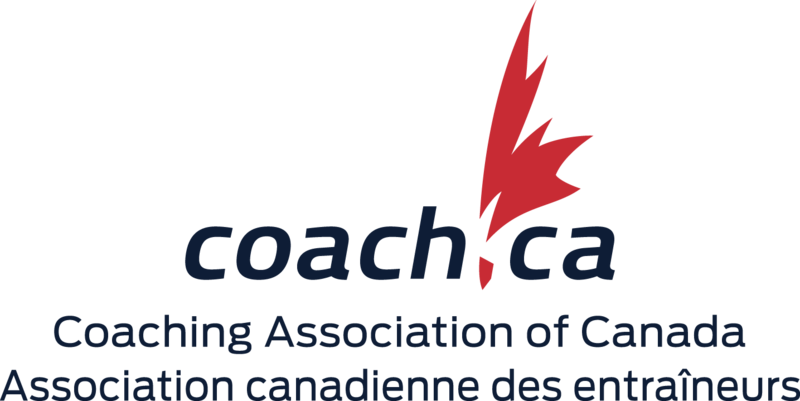 Challenge : Challenges for upgrading at Level 1 (Coach 1 and Jump MasterJump Master) are evaluated by a MCC or an experienced Learning Facilitator designated by the MCC. At Level 2 (Coach 2, SSI, and PFF) the evaluation will be conducted by a MCC. Where possible, the designate should be a different Learning Facilitator to the one who provided the recommendation for challenge. If the challenge is successful, the MCC (or designate) will send an evaluation sheet to the Director of Learning Facilitators. The Director will review the Learning Facilitator's status (paperwork, evaluations, etc.) and inform the challenging facilitator if they may now deliver the challenged program. The Learning Facilitator is formally designated as certified at the next meeting of the CWC. The information is then forwarded to the National Office and to the Rating Processor who updates the CAC list. The CWC highly recommends that the new Learning Facilitator sets a limit of 4 candidates for the challenge and for the initial "solo" course. If the challenge performance is deemed unsatisfactory, the Facilitator in Training may continue to assist with, where possible, a different current Learning Facilitator. After further experience and upon recommendation, a second challenge may be made. If on the second challenge, the Facilitator's performance is still deemed unsuitable, the candidate will no longer be considered for advancement. CSPA, when possible, will cover the airfare and/or travelling expenses of the Master Learning Facilitator/supervising designate. The Challengee (through course fees) is responsible for the accommodation ,food and honorarium of the Master Learning Facilitator/supervising designate. * Before progressing to level 2, the Learning Facilitator must have demonstrated superior course conducting skills at level 1. Note : The above progression does not preclude a Learning Facilitator from observing, acting as an evaluator, and assisting at a higher level (e.g. SSI) prior to being certified at a lower level (e.g. Jump Master). A Coach 1 and Coach 2 Learning Facilitator will retain active status if the Facilitator teaches at least one course of either type every 24 months, however each course must have been taught at least once within a 48-month period.. For the Jump Master, SSI, and PFF programs, the requirements are that the specific course must be taught every 24 months. All CSPA Learning Facilitators are expected to be active skydivers. The minimum currency level is 50 jumps per year. An annual currency survey must be completed to maintain the rating(s). Photographs and articles may include or refer to parachuting activities that are not in accordance with Canadian Sport Parachuting Association (CSPA) policies, procedures, or regulations. Publication of such photographs and articles on the website does not in any way indicate approval by CSPA, its Board of Directors, and/or its Committees.